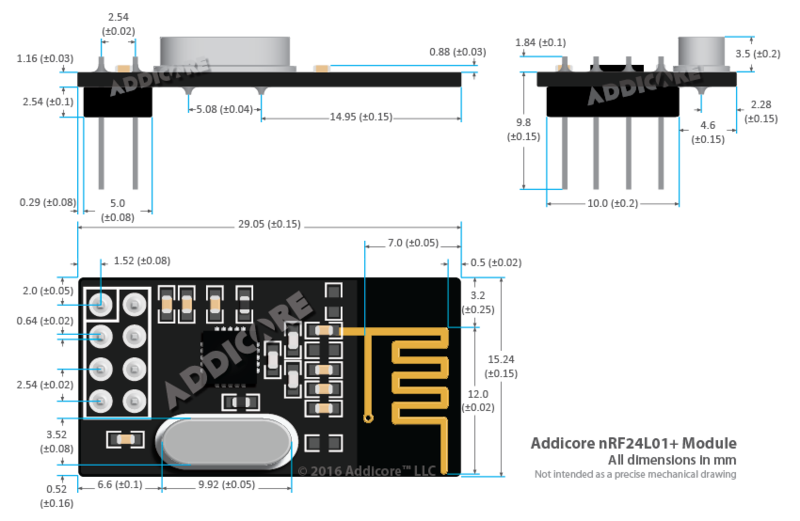 The Addicore nRF24L01+ is a 2.4GHz ISM band transceiver. I'm working on a project which required the NRF24L01 module, but WITHOUT the eight pins. Erin, at Addicore fielded the request and the staff de-soldered the pin on four units for me. 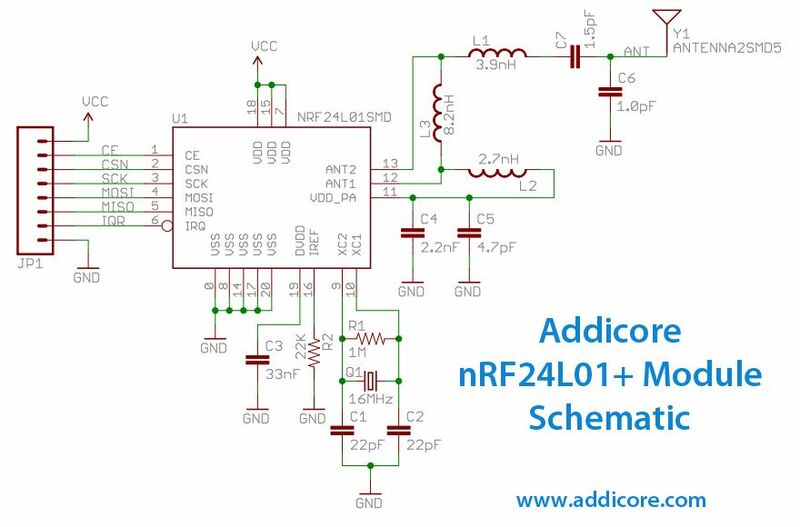 More than that, I lobbed a question (expecting to be referred to Google) at Addicore about power consumption using the NRF component alongside an MRC522 unit (dual-slave SPID). Instead of a rebuff, I got an extremely helpful and informative reply! Was hoping it would reach across my 1300 Sq foot house, but, not quite. These breakouts are well documented and fairly priced. I keep coming back to Addicore for these handy little workhorses. Great price, and quality ensured by the Addicore team. But when combined with the new Addicore breadboard-friendly breakout board, this product becomes even better! Honestly, no complaints. Great product and arrived in a short time.